Your adult teeth are with you for your entire life, so they experience a lot! Tooth decay and other more direct types of damage can wear them down over the years. It’s likely that you will need a little help keeping your smile in its best condition beyond just what you can do at home. 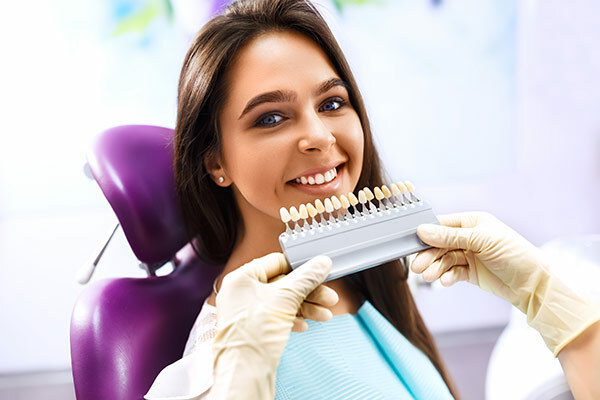 Your dentist can offer a number of tooth restoration options which can keep your mouth healthy and happy after sudden accidents or to counteract slow-acting dental erosion. The options your dentist chooses from depends on the type and severity of damage they identify, ranging from quick one-trip fixes to options that may require multiple visits. 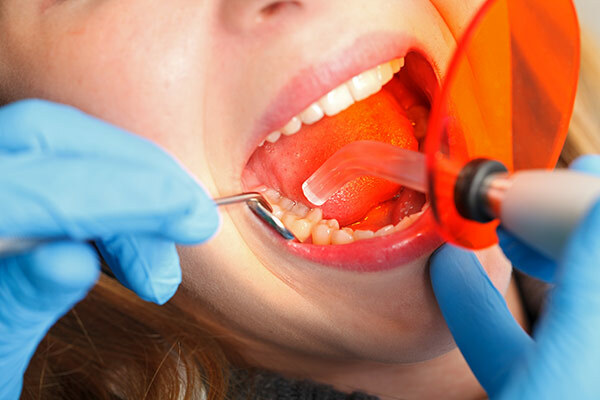 As one of the most common tooth restoration options, most patients are familiar with fillings. Tooth decay that erodes your enamel and weakens your teeth leaves you vulnerable to even more damage. When your dentist identifies these decayed areas, they can typically respond by using a filling made of amalgams or composites to restore them. The purpose of a filling is to close the space where bacteria may occupy and thrive. You always have bacteria in your mouth, but when they can get inside weakened areas of your teeth, bacteria become far more potent and problematic. Your dentist can identify if you need fillings in two ways. They will either be able to see the decay directly during an examination or will use x-rays to look for signs of decay in harder to see locations. The earlier this decay is detected, the more easily it is to treat. In severe cases, a filling may no longer be an option for tooth restoration. When you visit your dentist for a filling, they typically start the process by clearing away the existing decay and cleaning the area. This important step of the process helps prevent further decay following the filling. Like fillings, dental crowns help protect your teeth from additional decay after it’s been identified. Made of ceramic or porcelain, crowns are fitted over an existing tooth. Crowns offer more protection for your teeth than fillings but are typically only used when a filling wouldn’t be enough. When your dentist identifies tooth decay, they will often have to make the choice between fillings or crowns for your tooth restoration. The key factor they consider will be the severity of decay and how damaged the tooth structure is. When your tooth has significant damage or is missing much of its structure, the dentist will opt for a crown. Sometimes decay or injuries lead to the loss of your tooth. Fortunately, you’ll still have options for tooth restoration in these cases too! One of the most recommended means of correcting an area of missing teeth is with the use of a dental bridge. These custom-made replacements use your existing teeth as anchor points to create a bridge over the gap from your missing tooth or teeth. The bridge holds replacement teeth to fit into those gaps. Because a dental bridge is custom-made for your mouth, it looks incredibly natural and is essentially unnoticeable on a day-to-day basis. Bridges do more than simply restore your cosmetic appeal, too! When you’re missing a tooth, your ability to bite and chew is affected. A dental bridge restores your natural bite. Additionally, filling the gap helps prevent your mouth from giving new, difficult-to-clean places for bacteria or plaque – preventing even more damage due to your missing teeth. You may need a few days or weeks to get used to a new dental bridge. After that, your mouth will acclimate, and you’ll find that you can bite, chew and even speak better than before! Veneers are a popular choice to correct these issues. Unlike dentures or implants, veneers go on over your existing teeth – so they’re an option even if you haven’t lost a tooth. Using porcelain, veneers are custom-made for your teeth to closely match the color and shape, which allows them to improve your smile and look completely natural. Porcelain veneers last for up to around 15 years with proper care. The initial process for a veneers procedure involves removing a small amount of your tooth surface, so most individuals that get veneers will want to replace them after their initial veneers wear down. After a dental exam, your dentist may recommend scheduling a future appointment and give you a list of tooth restoration options. While restoring your teeth will help keep them looking great, it’s not simply a cosmetic issue. Decayed, chipped or missing teeth are a serious risk to your dental health and your body’s overall health. The longer you leave a tooth at risk, the move severe its decay or damage can become. Don’t let a minor issue that could be fixed with a filling turn into a larger problem by waiting! Do you have toothache pain? We can help! The professionals at Walbridge Dental provide complete family dental care to families in the Millbury community. Contact us online to set up an appointment now or call us at 419-836-1033. This entry was posted in Dental Tips, Tooth Loss and tagged Reduce Oral Decay, Tooth Decay, Tooth Loss. Bookmark the permalink. Follow any comments here with the RSS feed for this post. Both comments and trackbacks are currently closed.